When it comes to October time I'm all for scary movies especially on Halloween I will basically spend my whole evening watching some sort of horrors. I'm obsessed with Netflix but who isn't!? When I realised they had released their own netflix original show 'Scream' I just knew I had to watch it. I will admit throughout the first episode I was thinking it was lame and just dreadful but by the second episode I was hooked and could not stop watching it. It's almost like a sequel to the actual movie but in the same way it's not. Okay it's really hard to explain without giving spoilers and obviously I don't want to do that. However it's all about a cyberbullying incident that leads to someone being murdered and a group of friends are trying to figure out what happened although the more they figure out the worse things get. It also goes back to things that happened in the past so you're constantly trying to figure things out before they're revealed in the show. By the second episode I was so sure I knew who 'scream' was (a different name is used but I don't want to give spoilers) and I was so sure of myself I would have bet money on it, and so by the 10th episode when I finally found out who it was I was pleasantly surprised to have been thrown way off. Which I liked as it's almost like how Gossip Girl ended you're kind of sitting there questioning everything that ever went through your mind about the show and how you didn't figure it out. There is a few jumpy parts in it however it's more of a jump scare kind of show rather than a 'I can't go to the bathroom on my own or the killer will kill me' kinda show. But it's definitely a great one to watch especially because of the time of year that it is! 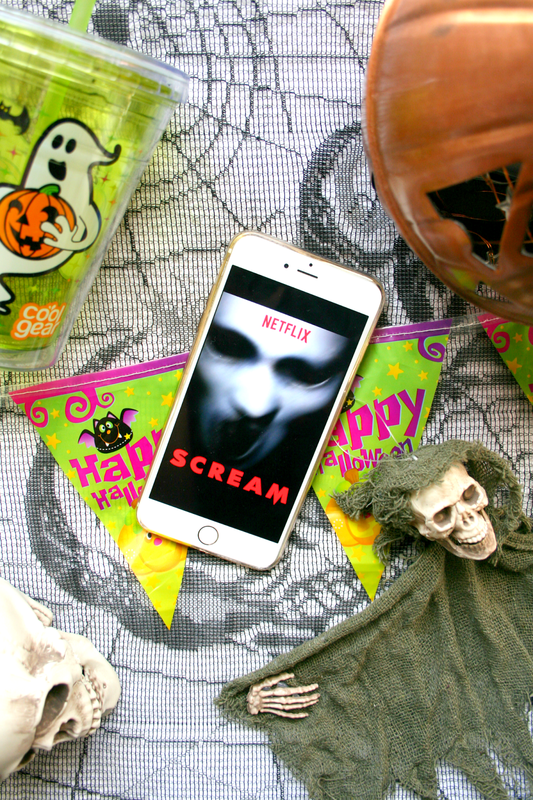 So if you are looking for something to watch on Netflix I'd highly recommend Scream, after all it is Halloween. Have you watched the show yet, what did you think? I found this show went really up and down. I thought the first two episodes were great, then it dipped a bit, then it got good, then terrible, then really good again! I was disappointed though because I successfully predicted the killer on episode two. Totally agree with all of this- i've watched 3/4 of this series and it's definitley a lot of hit and miss, the first episode is a little off putting but once you've gotten past that i's super addictive! I saw an ad for this last night and I really want to watch it now, I am so behind on all my TV shows already but what's one more to throw into the mix!